Quirky Jessi: We are not alone. When I sat down to write about this picture, I started going off into a little tangent. A little "it saddens me that this or that happens so frequently in the U.S." A little "I wish more of these things and those things would be done." Really, I would rather stick with how National Geographic puts it. Simple and to the point. 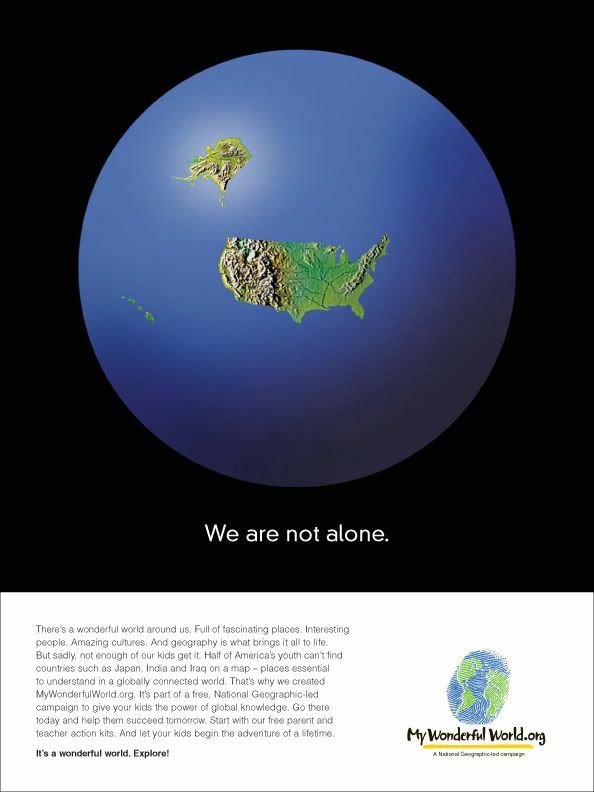 We are not alone. And we aren't, so do your part to teach people that, especially the kids, and remember it for yourself. Click the picture to see it at a larger size and read the text at the bottom. Go to MyWonderfulWorld, check out some links, read some quick facts, spread the word. They aren't "asking you for your money, just your voice."